Robbie Nell Moss Wilson Henson, daughter of the late William C. Moss, Sr. and the late Artivee Moss, went to be with her Lord and Savior on Friday, November 30, 2018 while surrounded by her loving daughters. She was preceded in death by her husbands, David M. Wilson and Billy C. Henson; daughter, Brenda W. Beasley; brothers, W.C. (Doris) Moss, Jr. and H. Eugene (Juanita) Moss and sister, Helen M. (Roy) Baham. Robbie is survived by her daughters, Karen W. Field, Cheryl W. (Craig) Collier and Joni W. Fuller; nine grandchildren, twelve great-grandchildren, and a host of devoted nieces, nephews, cousins and friends. She retired from the City of Birmingham Engineering Dept. after 31years of service as Supervising Clerk. During this time she formed many close personal and professional relationships which she valued throughout her life. 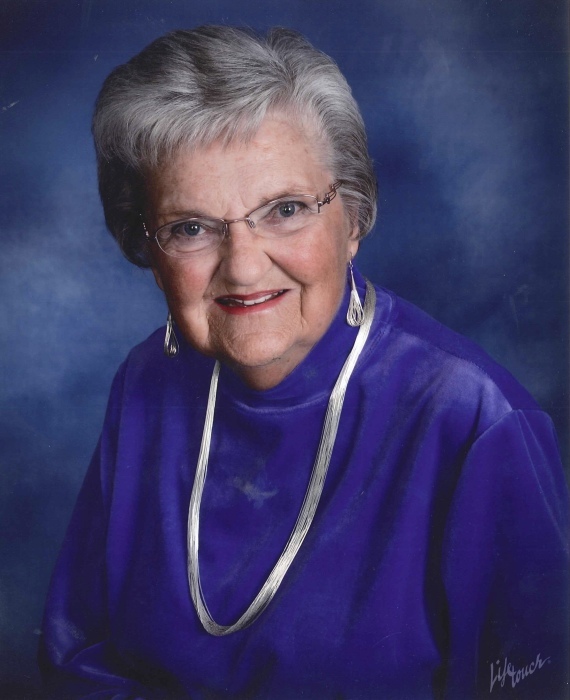 Robbie enjoyed reading her Bible and Daily Devotions, cruising, cross-country travel, the beach, a challenging game of cards, and most of all, spending time and sharing laughs with those she loved. Her generosity was extended to many charitable works, two of her favorites being St. Jude Children’s Research Hospital and Wounded Warrior Project. The family would like to express heartfelt thanks to the many wonderful caregivers who provided such excellent care throughout her illness. Visitation will be Sunday, December 2, 2018 from 4:30 pm until 6:30 pm at Crestview Memorial Funeral Home. A Celebration of Life will be Monday, December 3, 2018 at 11:00 am at the chapel of Crestview Memorial with Bro. Sammie Reid officiating. Burial will follow at Elmwood Cemetery.